You know why you’re here: you need to know all the options available to you when it comes using my PLEX server. First, if I know you, go to plex.tv and create an account. At the same time, email me, or join my Discord and let me know that your Plex account has been created, and what you used for your username or email address. Watch for an invite from me in your email. Accept that invitation. You’ll be able to get to my Plex server through any of the Plex playback options, from your Roku/Amazon Fire/Apple TV device, to any iOS /Android device, or even just a plain, old web browser. Plex also has the Plex Media Player you might want to take a look at. Neat. Anything else I should know? If you want to make requests, and by all means, please do, click here. This is my install of Ombi. Once I get it working correctly, and I feel ok opening it to the world, your personal Tautulli profile will be available here. As previously mentioned, I have a Discord setup, but mostly so I can play with various webhooks and REST API. 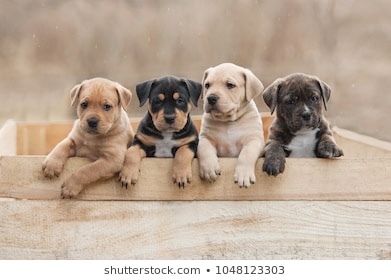 Can I see a stock image of a puppy? Sure. How about a couple puppies?